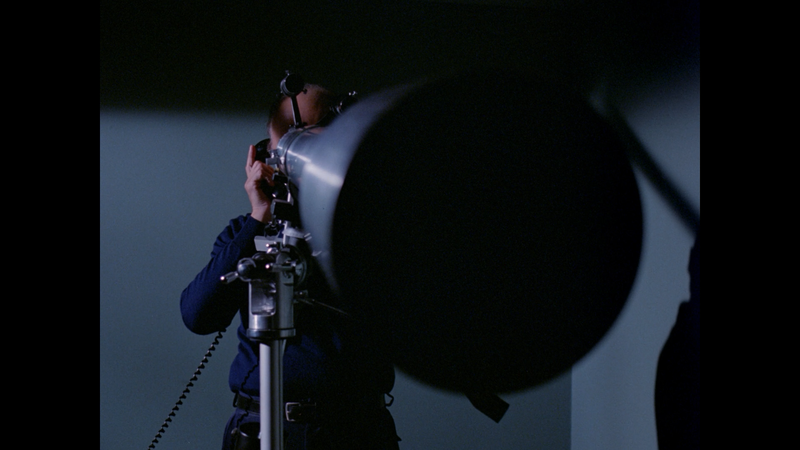 Someone’s Watching Me might not be top shelf John Carpenter, even when taking into account the limitations of being made-for-television, but it is quite entertaining with some genuine thrills. Note: The screen captures are from the 1.33 aspect ratio. At the end of this page, I have provided 2 caps of the 1.85 version. 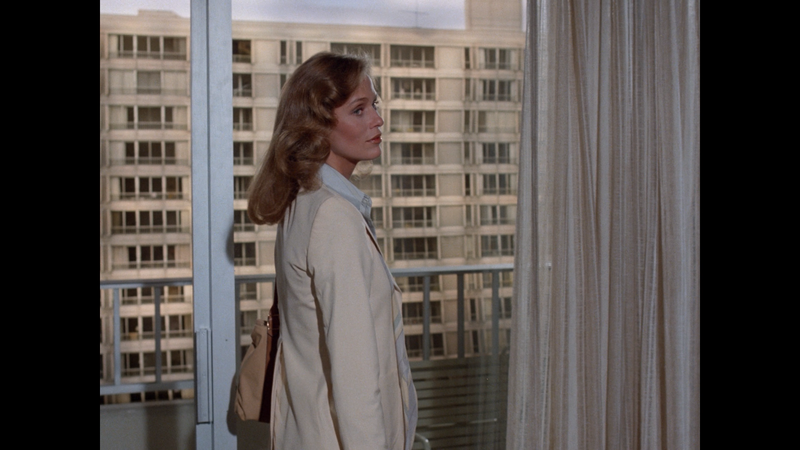 Plot Synopsis: Leigh Michaels (LAUREN HUTTON) takes a room in a high-rise apartment building where the previous tenant committed suicide. Soon after, Leigh begins receiving mysterious phone calls, getting anonymous gifts in the mail and finding that her room has been searched by someone. When a letter finally arrives in which her tormentor expresses his intention to kill her, she takes it to the police, but they’re unable to do anything. Terrified, Leigh nevertheless decides to find the culprit herself. Quick Hit Review: Someone’s Watching Me was only writer-director John Carpenter’s third film, and fourth film released airing on NBC a month following the release of his horror masterpiece Halloween. Prior to Warner’s 2007 release to DVD, it was known as “the lost John Carpenter’s film”. Stylistically, it’s a cross between Alfred Hitchcock with a bit of Dario Argento thrown in, not so much John Carpenter, albeit he likely was limited due to it being made-of-television. Despite those limitations, and a somewhat plodding story, I found the film moderately entertaining as there are many Hitchockian elements (namely Rear Window, one of my personal favorites) and the performance from lead actress Lauren Hutton was great, even deliberately humorous when she talks to herself. The villain wasn’t anything memorable, though being just an everyday guy does make him a bit more chilling. I doubt this ranks high on my list of John Carpenter movies but still well worth a watch. Audio Commentary – Although it would’ve been interesting to get Carpenter’s perspective beyond the interview included in this release, this one with Author Amanda Reyes (Are You In the House Alone? ), a favorite of hers. She expands on her love of the movie and of John Carpenter himself. Adrienne Barbeau (10:32; HD) – The actress, and ex-wife of John Carpenter, recollects her work on the film and how she got her role and some behind-the-scenes stories. Charles Cyphers (9:43; HD) – The actor discusses his first meeting with Carpenter and his career working with the filmmaker on several of his early films (including Assault on Precinct 13, Halloween and Halloween II). Horror’s Hallowed Grounds (7:12; HD) is a shorter episode of one of my personal favorite series/features on these releases as host/creator Sean Clark takes viewers back to the locations today. John Carpenter: Director Rising (6:14; SD) is an archive interview with the filmmaker talking about his work on Someone’s Watching Me (originally titled High Rise) and how it got made. Rounding things out are some TV Promos (1:01; HD) and a Photo Gallery (1:19; HD). 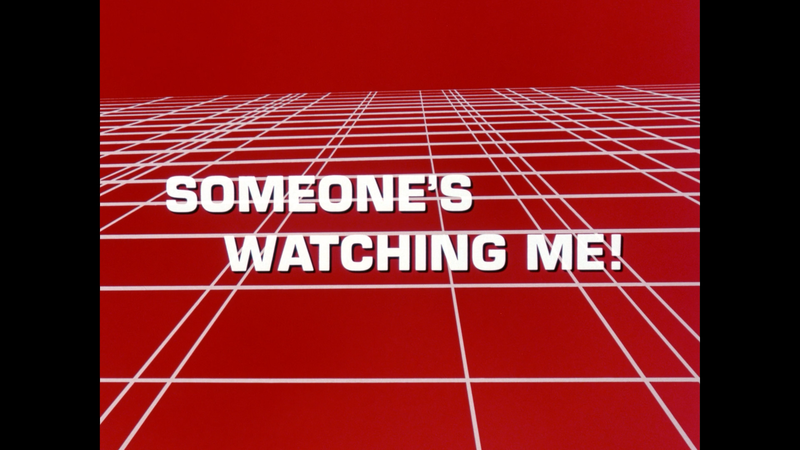 Shout Factory releases Someone’s Watching Me onto Blu-ray and received a new transfer, a 2K scan from the interpositive (provided by Warner Brothers), and in somewhat of an exclusive, the original 1.33 televised aspect ratio as well as the 1.85 theatrical widescreen frame previously on the DVD release. The 1.33 option does have more information whereas, as you might expect, the 1.85 is zoomed in. So I chose the former and as such, the picture looks well done with sharp detail, colors are generally bright and there is still some natural film grain and noise. On the downside, and it’s ever so slight, I did notice a few minor specs but otherwise this is a clean looking transfer. The disc comes with your standard but efficient DTS-HD Master Audio Mono track, which didn’t at all sound bad outputting clear dialogue and some satisfactory depth when the suspense and thrills pick up, particularly the finale. 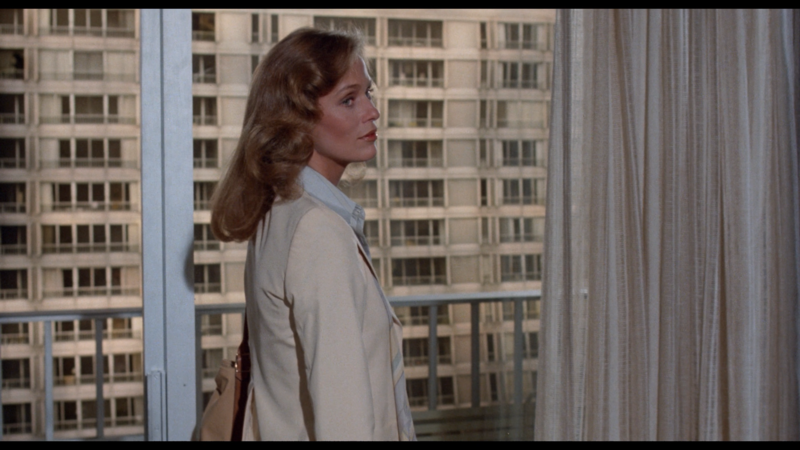 Overall, Someone’s Watching Me might not be top shelf John Carpenter, even when taking into account the limitations of being made-for-television, but it is quite entertaining with some genuine thrills and a great performance from its lead, Lauren Hutton. This Blu-ray release from Shout Factory is well put together with good video/audio transfers and a fine selection of bonus features.